Thomas Dodson’s “The Death of Elpenor” will appear in the next issue of The Chicago Quarterly Review. Additionally, the magazine Tom edits, Printer’s Devil Review, has just released a new issue. You can find the latest PDR here. Congrats on the upcoming publication and on putting out another issue of Printer’s Devil Review! 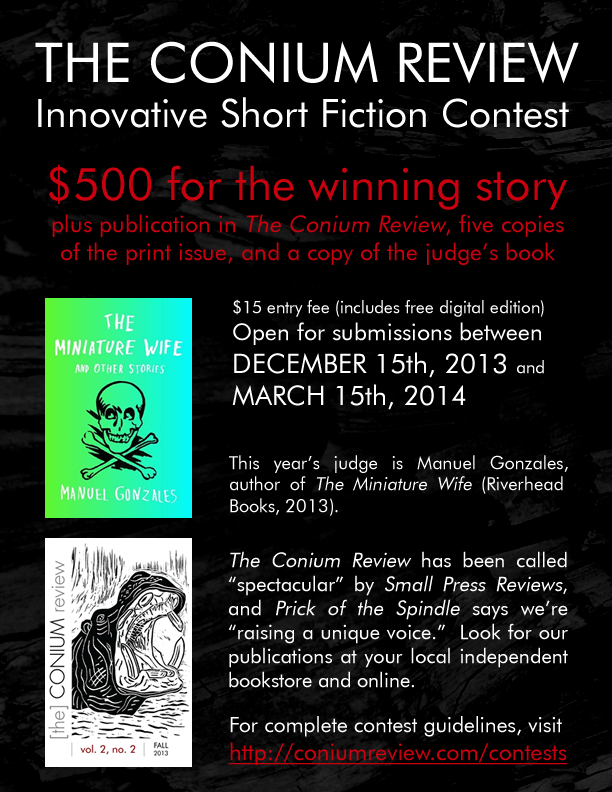 We’re looking for a few new Fiction Editors and Poetry Editors to join The Conium Review staff. All staff positions are on a volunteer basis. You can apply from any location; all the reading is done on a computer. We’re only looking for a handful of new people, so get your application in early before the positions fill up! Marc Schuster (Guest Editor of our Spring 2013 issue) was recently published in The First Day. Checked out his essay, “Is Nothing Sacred?” on their website. Other recent publications include “Form 28” in The Ampersand Review, and “Madrid” in Apiary Magazine. 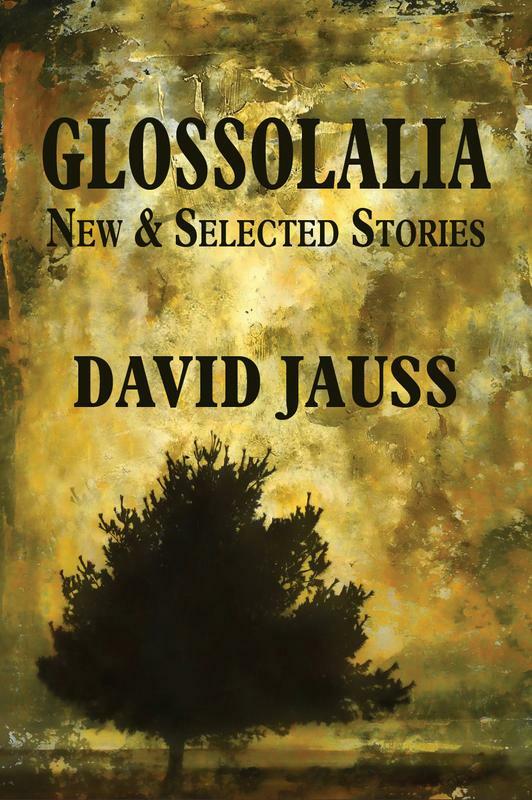 He is also the author of The Grievers, The Singular Exploits of Wonder Mom and Party Girl, Don DeLillo, Jean Baudrillard, and the Consumer Conundrum, and The Greatest Show in the Galaxy. One of William Cass’s stories, entitled “Empathy,” was selected as the fiction winner in The Examined Life Journal‘s recent writing contest. William Cass was a contributor to The Conium Review‘s Spring 2013 issue. Congratulations on the winning story, William!